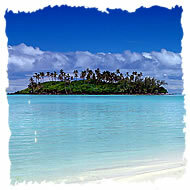 The lush tropical islands of Seychelles are idyllic with their glorious white sand beaches and sparkling blue waters. Rich vegetation includes coconuts, mangoes and bananas and the islands' are a natural habitat for a range of wildlife such as giant tortoises, turtles and rare birds and plants. The spectacular tropical fish make snorkelling and scuba-diving popular activities. The best way to get a true feel of the Seychelles is to island-hop, from Mahe, the main island boasting a coastline of 68 beaches and coves. The numerous uncrowded islands make this a perfect setting for those seeking a natural environment with peace and tranquillity. 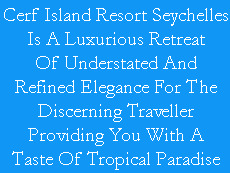 The Cerf Island Resort is a luxury boutique hotel in Seychelles..